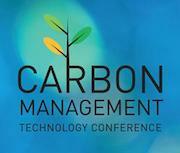 The 2017 Carbon Management Technology Conference (CMTC 2017) will focus on carbon capture, utilization, and storage (CCUS) technologies that provide options for lowering greenhouse gas emissions while maintaining fuel diversity for sustainable growth. CMTC 2017 provides an unbiased platform to present information on carbon management solutions for continued energy and economic growth. The Carbon Management Technology Conference 2017 (CMTC 2017) builds on CMTC 2015 that attracted over 200 speakers and attendees from 16 countries, of which, 54% were from industry, 34% from academia/research organization and 12% from numerous governments. CMTC 2017 will build on this success by presenting insights and lessons learned on the requirements for carbon capture, utilization and storage (CCUS) deployment and the technologies proposed for a modern energy infrastructure that maintains fuel diversity for sustainable growth, while addressing climate change. This international conference is unique in its focus on current industry CCUS options being demonstrated at large-scale while providing insights into the next generation of innovation by leading researchers world-wide. The technology nexus of industry and researchers with a common goal of meeting 2050 forecasts requiring global CCUS deployment to achieve 2DS makes this a must attend conference. We look forward to seeing you in Houston.